19 years, 5 months, 4 days old age. Mahipal Lomror will turn 20 on 16 November, 2019. Only 6 months, 26 days, 21 hours, 18 minutes has left for his next birthday. Mahipal Lomror has celebrated the total number of 19 birthdays till date. See the analysis by days count and bar graph. 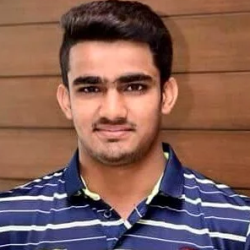 Mahipal Lomror was born on 16-11-1999 in Nagaur in the state of Rajasthan, India. He is an Indian Cricket Player. Mahipal Lomror is an explosive batsman and more than a handy bowler. He started his career as a batsman but soon developed the art of bowling left-arm orthodox. He came to limelight during the 2016 U19 World Cup in which he played the finisher’s role and played some match-winning cameos. He went to Delhi Capitals in 2017 but only to warm the bench. In IPL 2018 player auction, he was roped in by his state team franchise Rajasthan Royals at his base price of INR 20 Lakhs. He got 2 opportunities that season but was ineffective both with bat and ball. He has performed consistently at the domestic level and if nurtured well might play for India as well. He was coached and mentored by legendary Indian batsman Rahul Dravid during his U-19 days. Besides batting and bowling, he is also one of the best in the business when it comes to fielding. He was born to Krishan Kumar Lomror. Former cricketer Chandrakant Pandit gave him a nickname "Junior Chris Gayle" because of his hitting abilities. He started playing cricket from the age of 6.